Fall’s fireworks look dull under thick cloud cover. A high of 66F and humid. Fall is far better viewed from close quarters as the yellow leaves descend like confetti. There’s still some green hanging on amidst the flourishing bursts of red and orange. 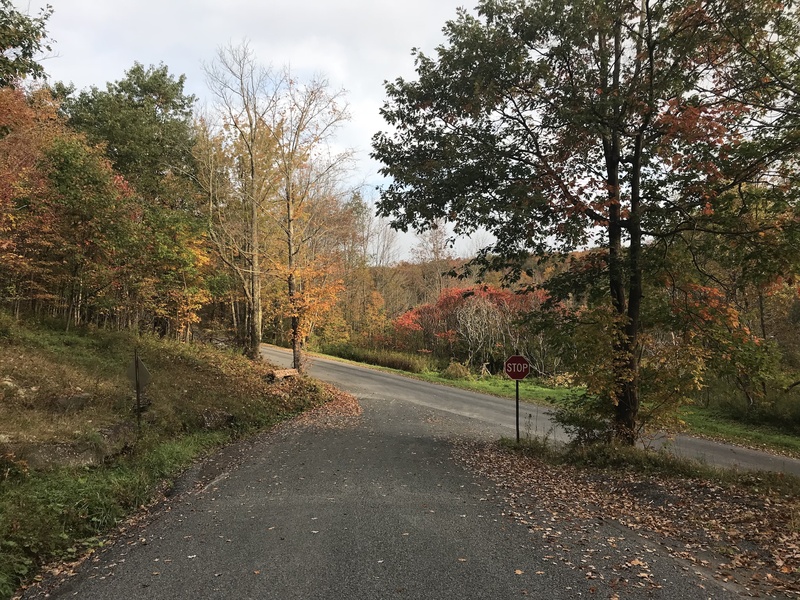 This entry was posted in Daily Catskills on October 8, 2018 by JNUrbanski.